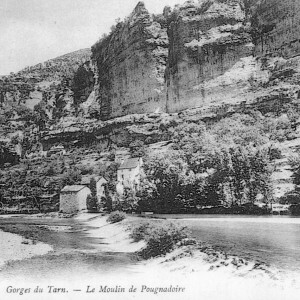 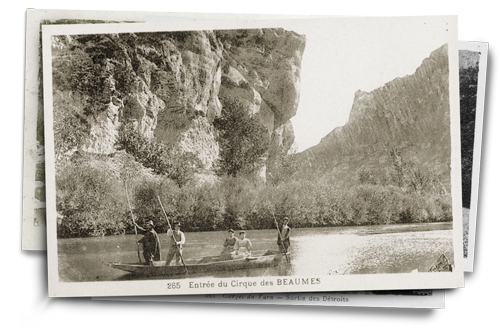 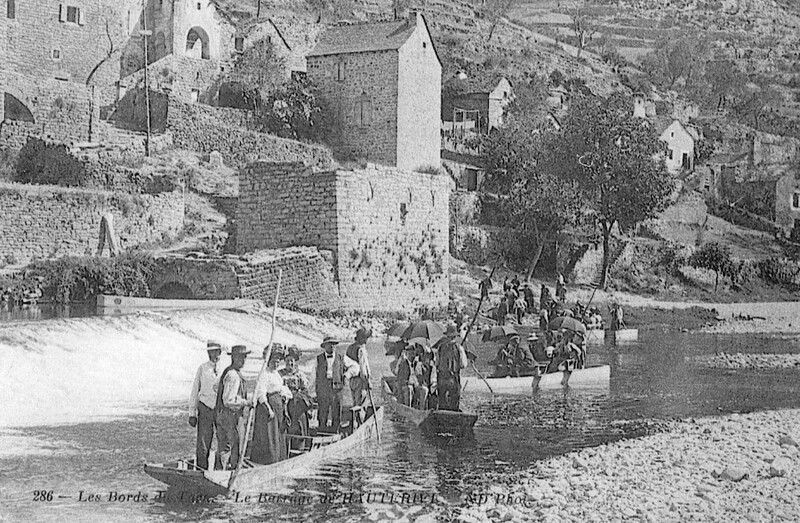 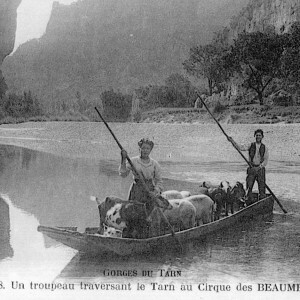 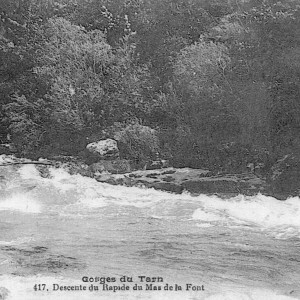 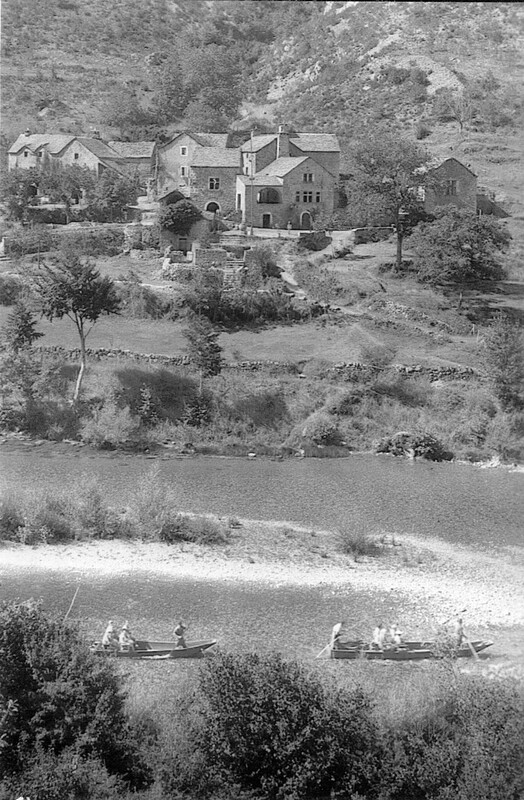 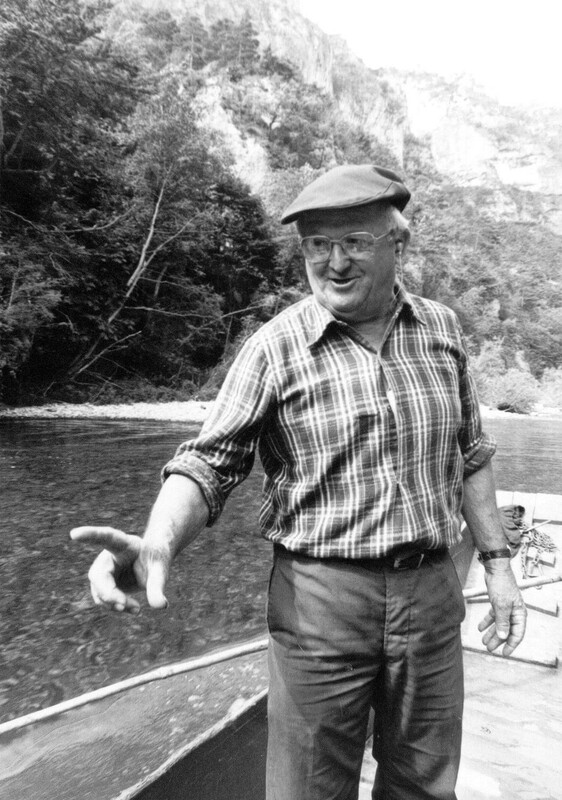 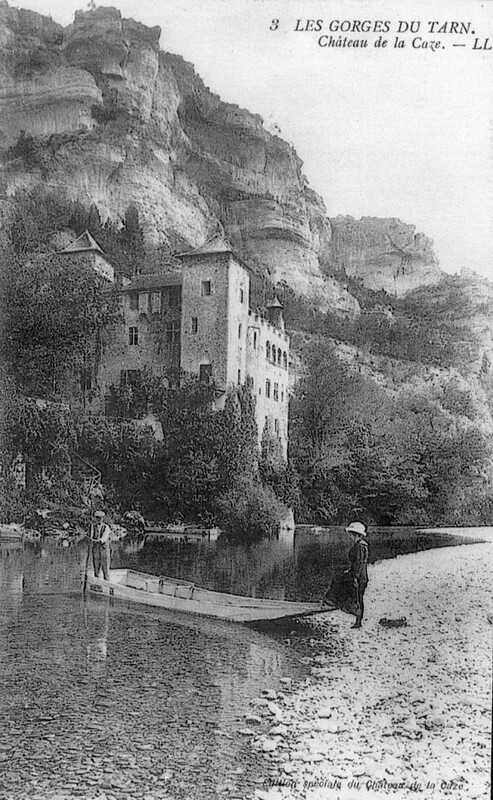 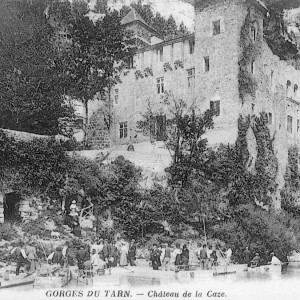 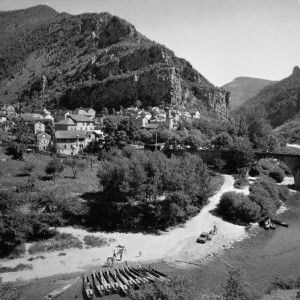 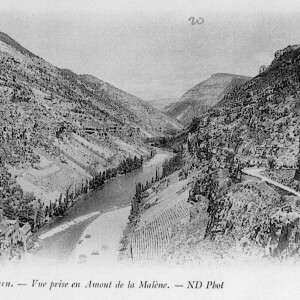 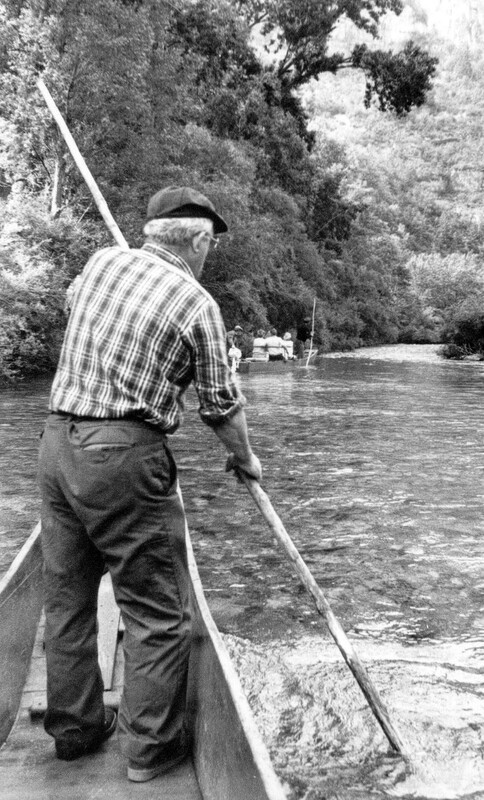 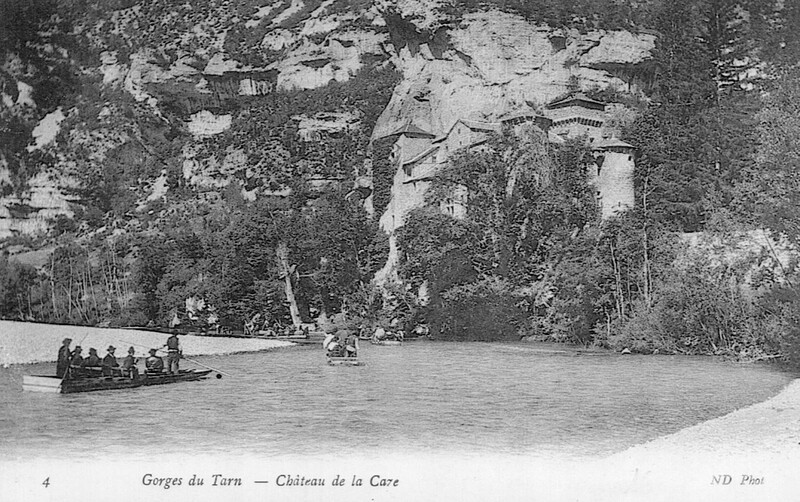 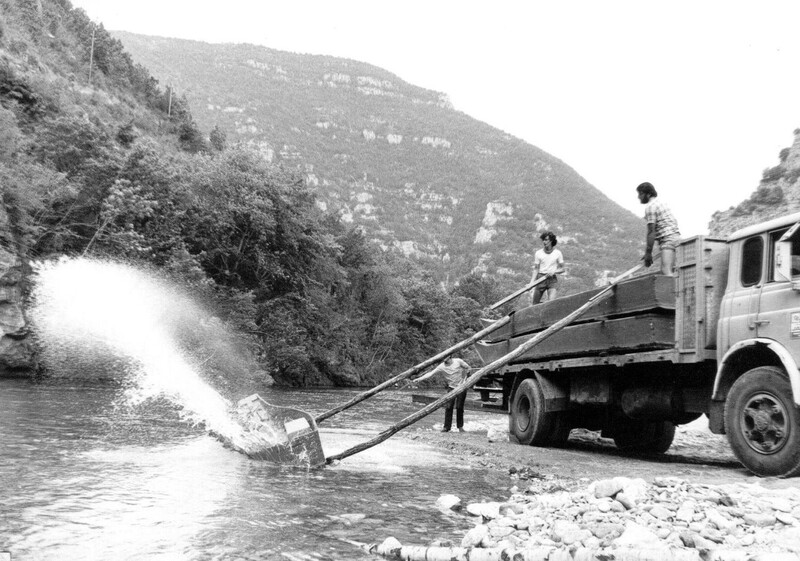 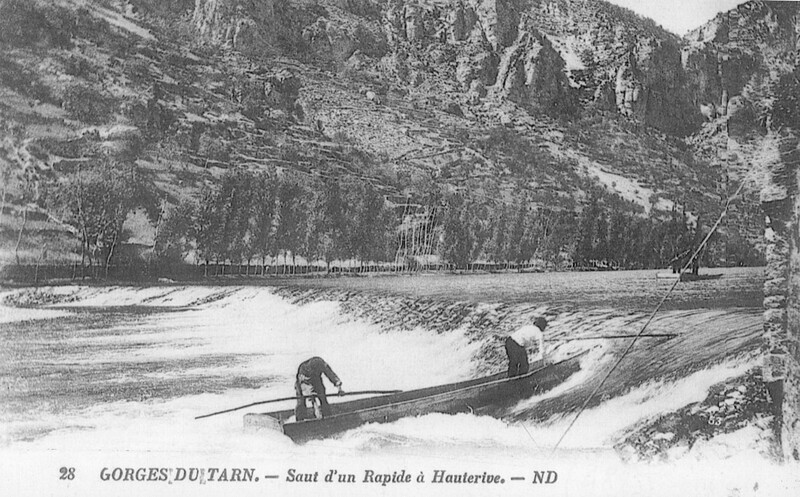 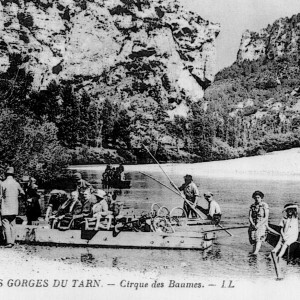 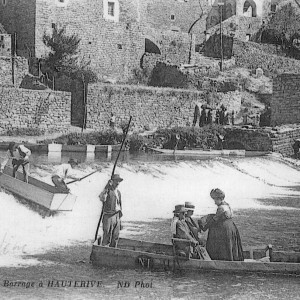 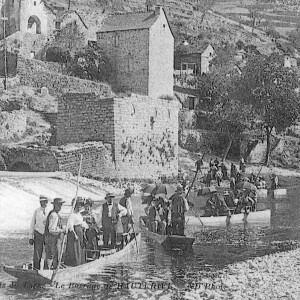 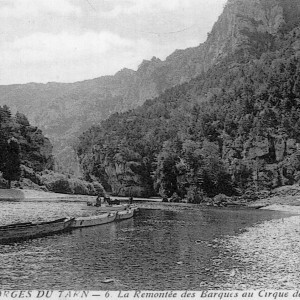 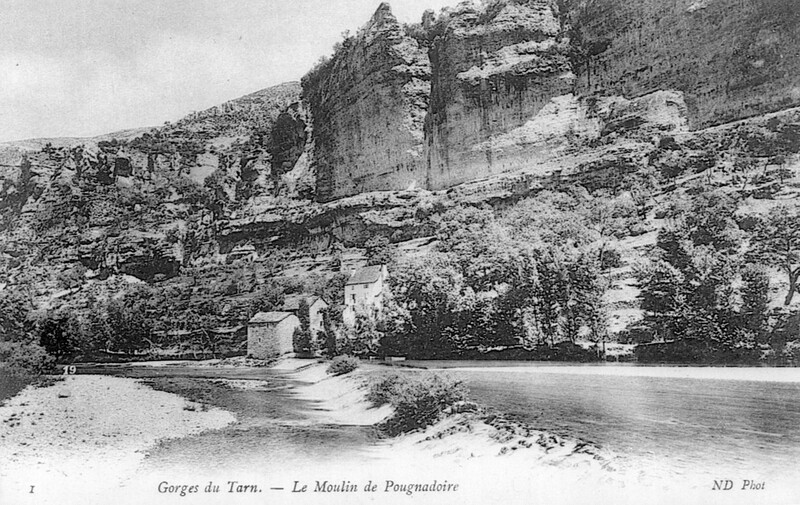 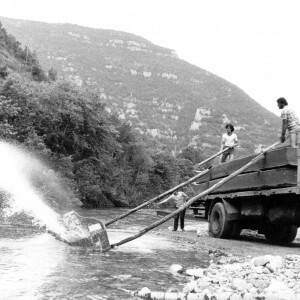 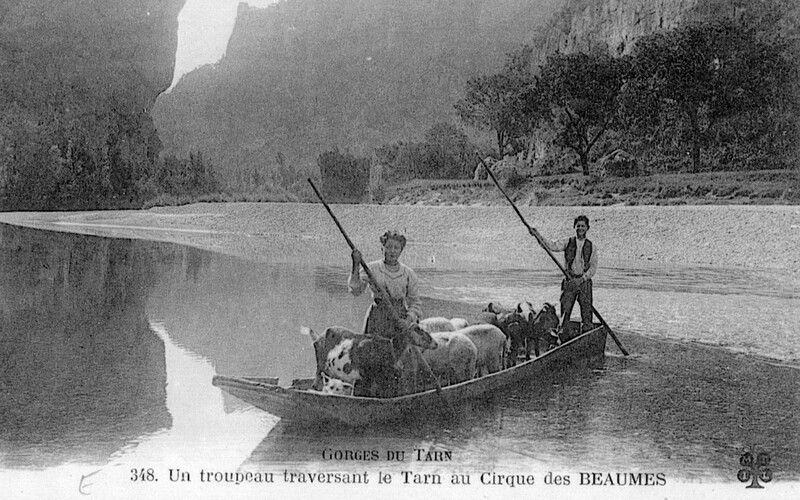 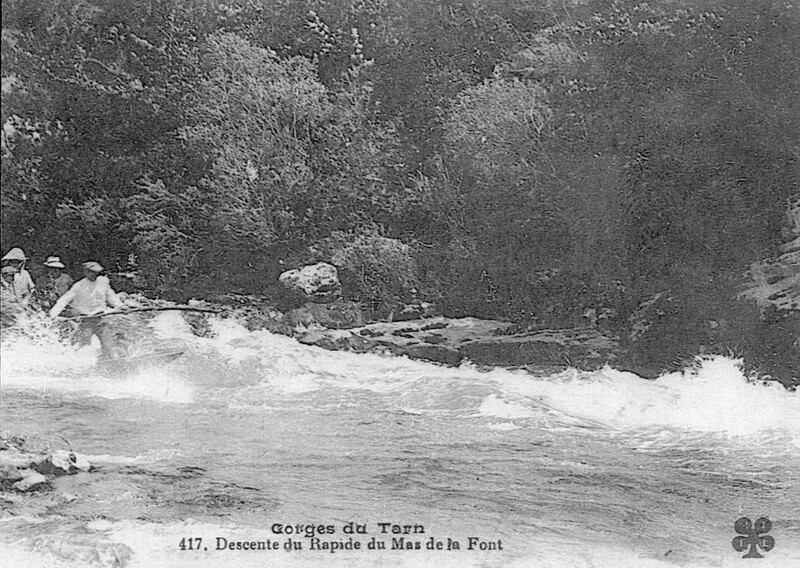 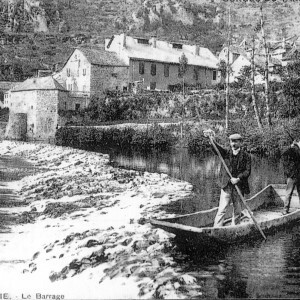 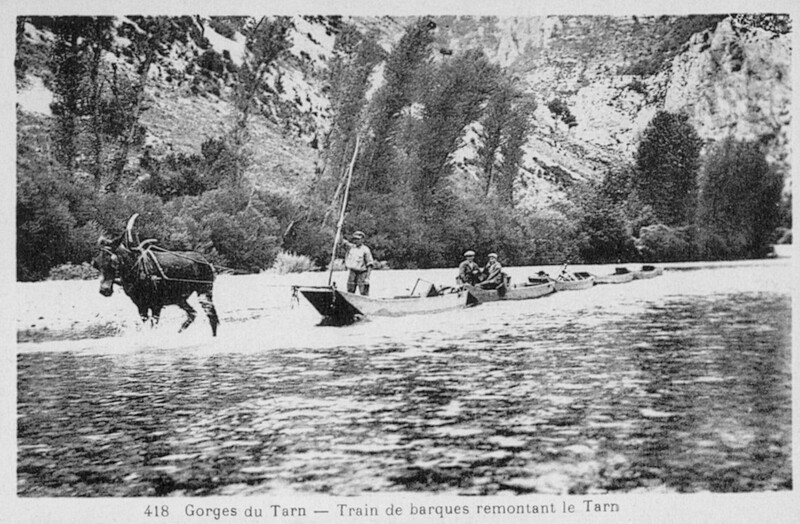 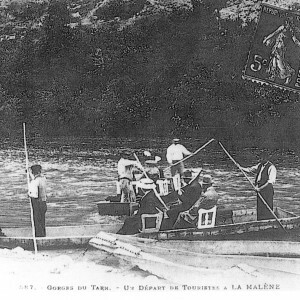 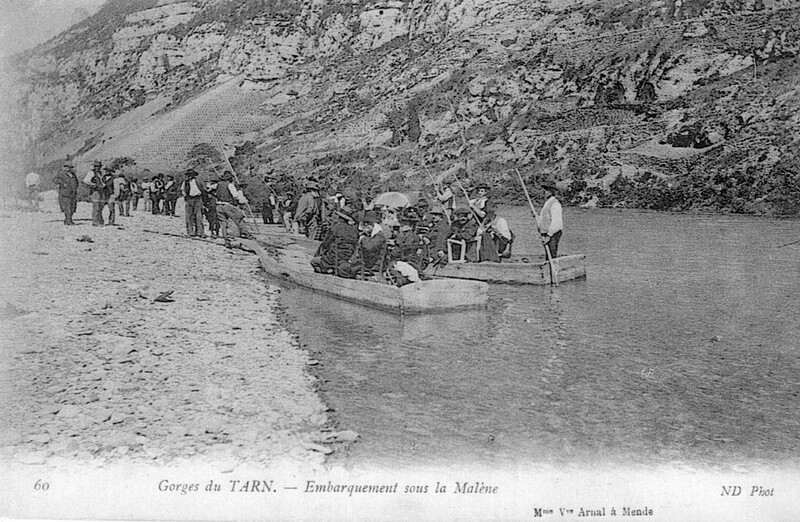 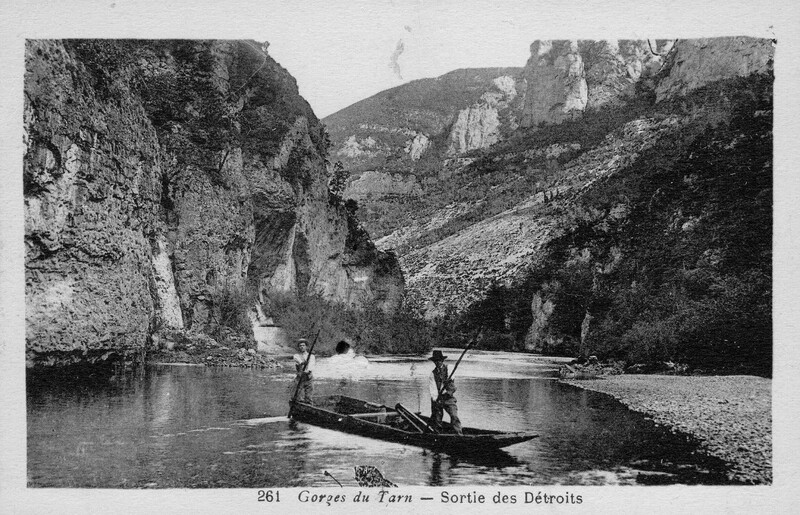 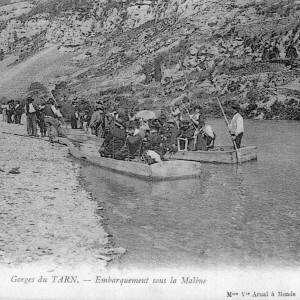 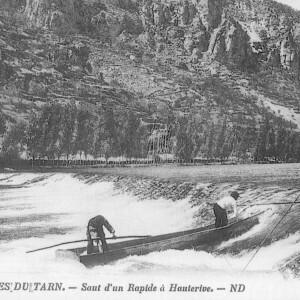 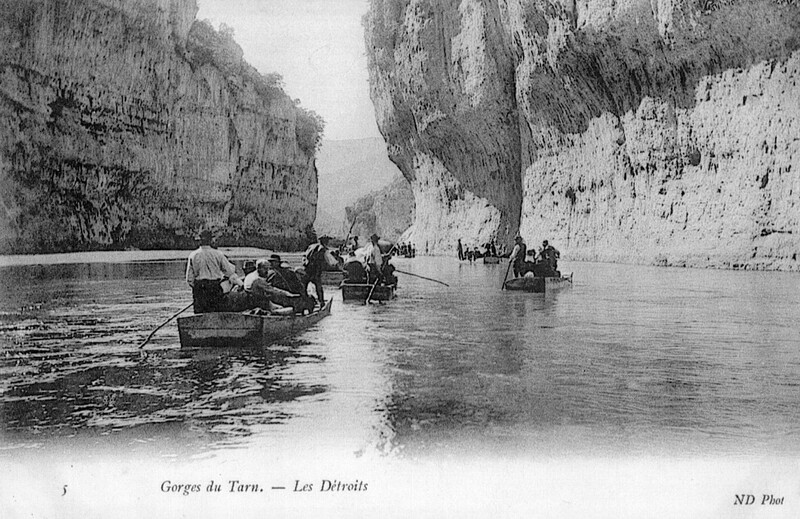 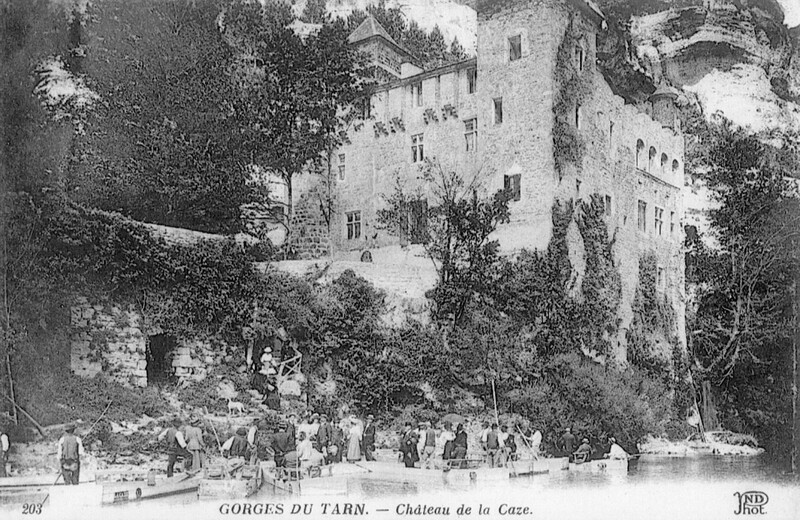 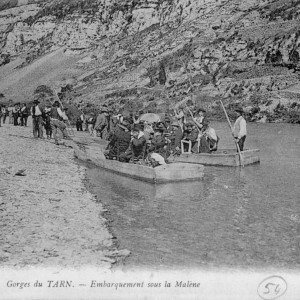 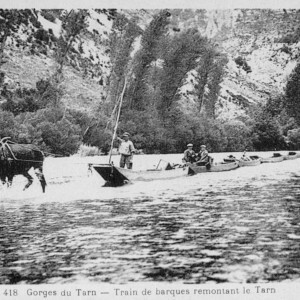 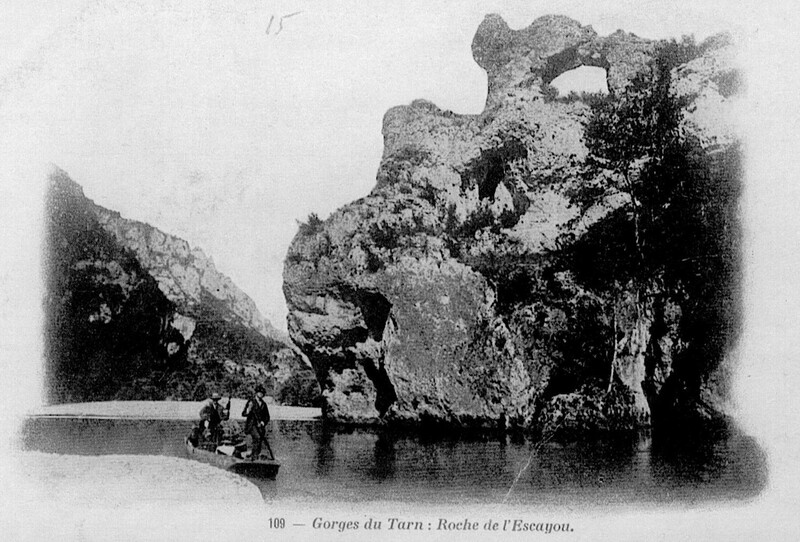 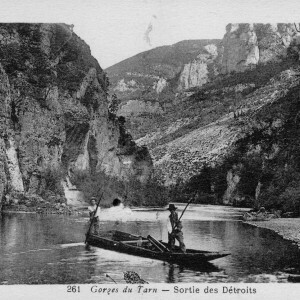 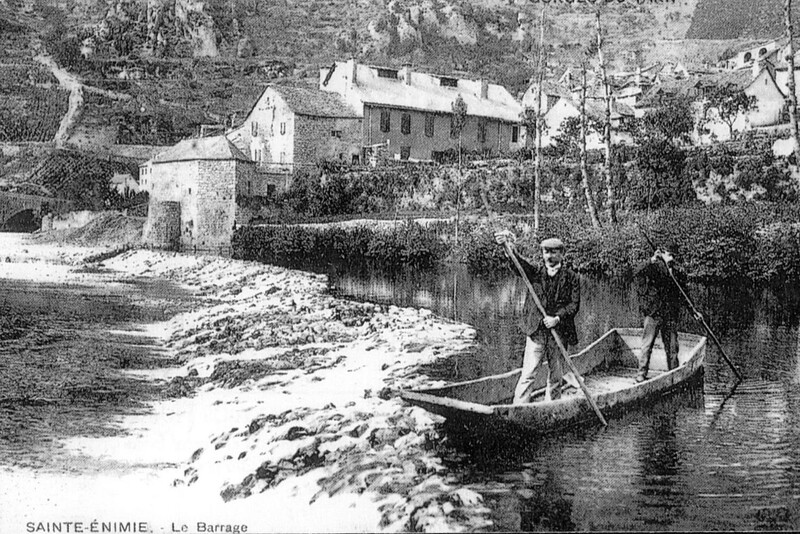 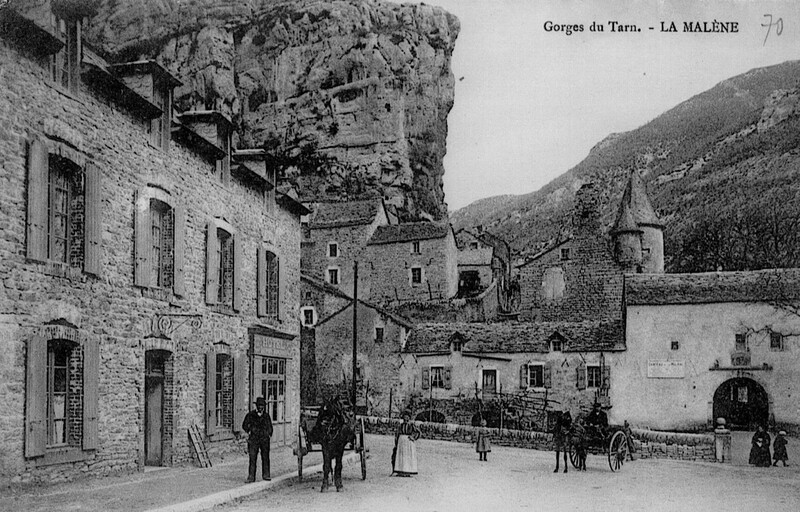 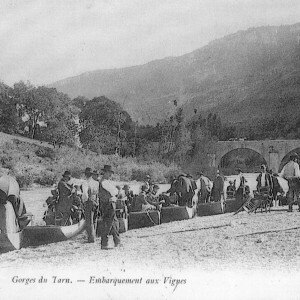 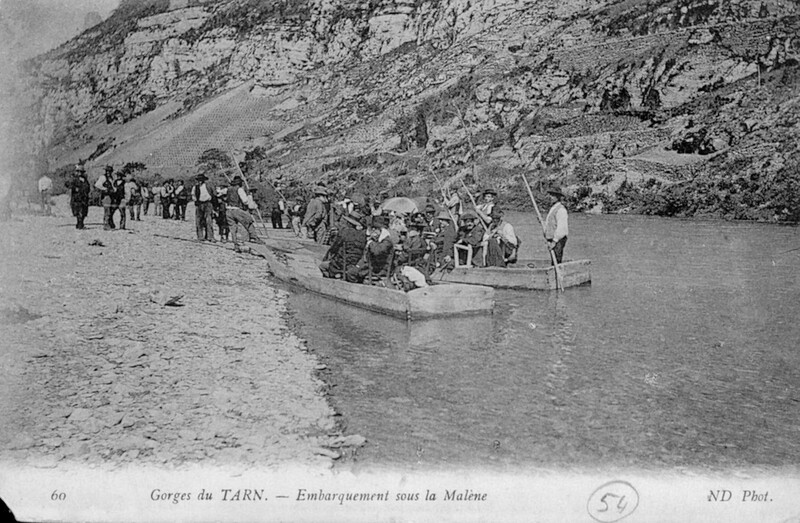 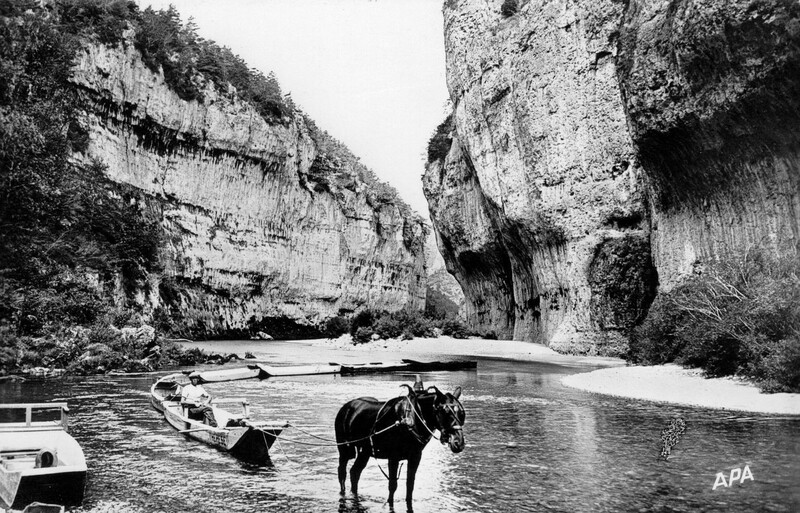 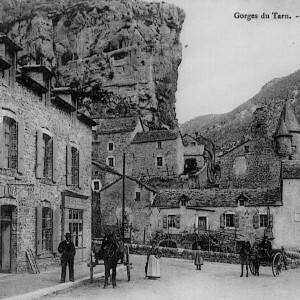 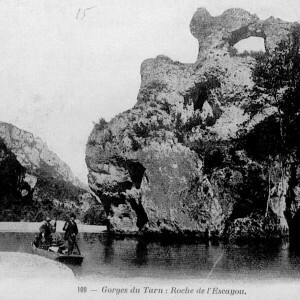 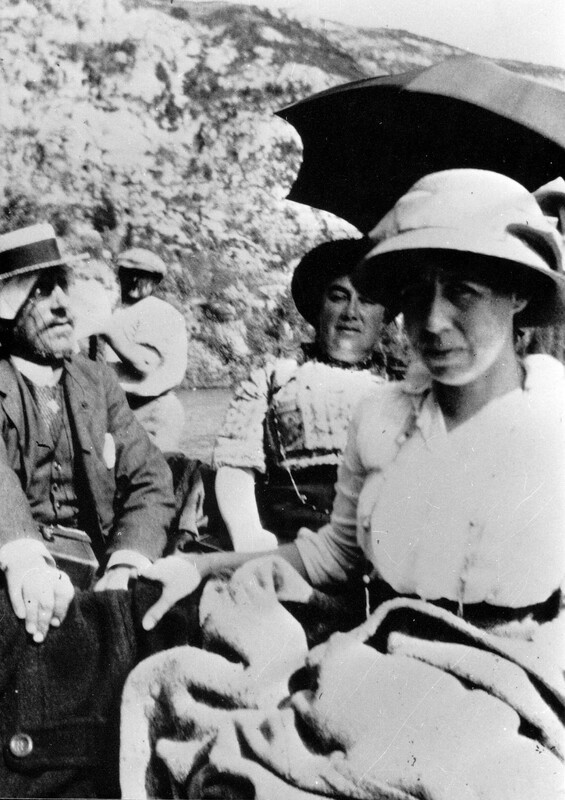 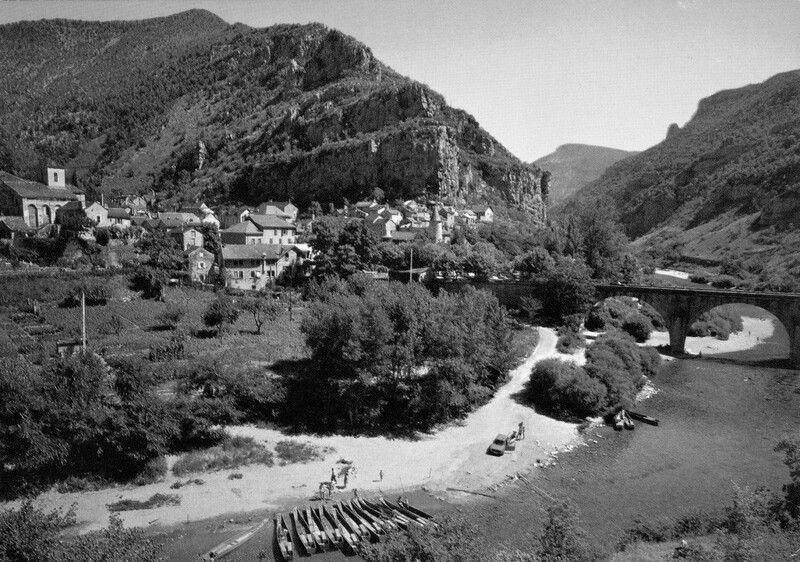 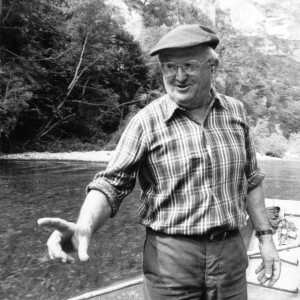 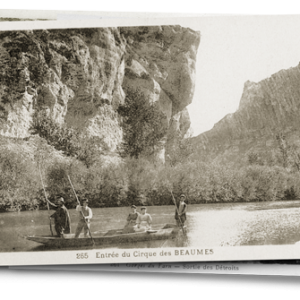 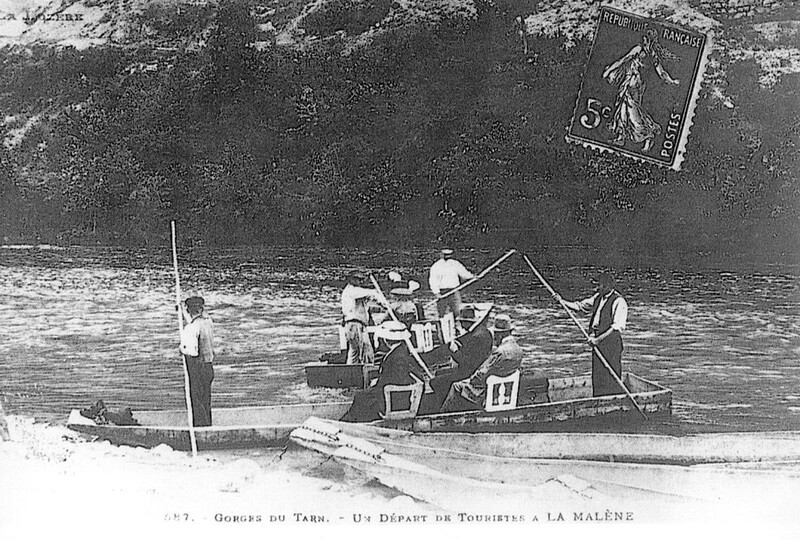 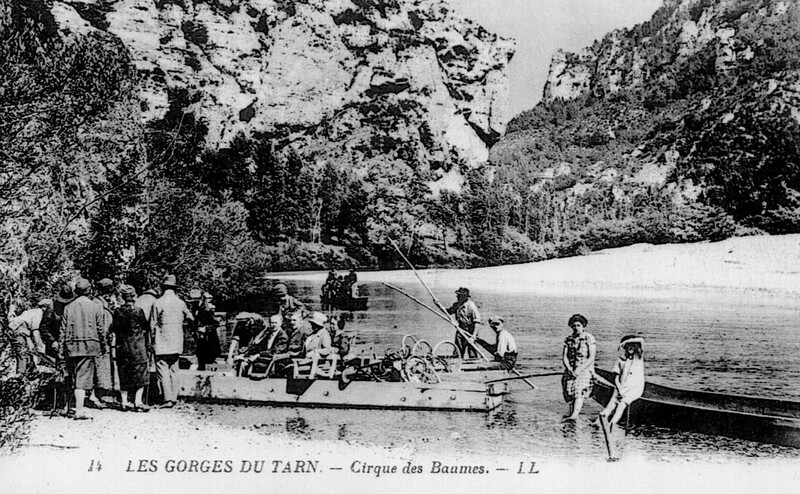 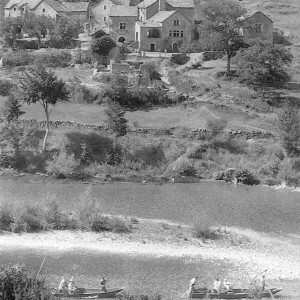 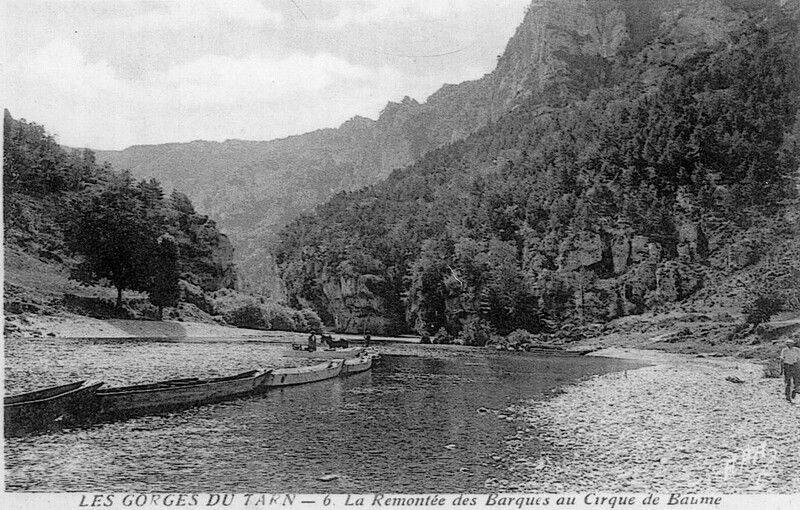 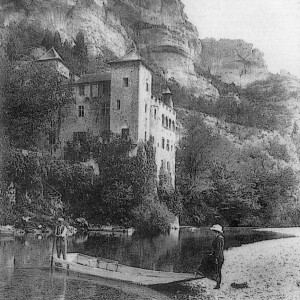 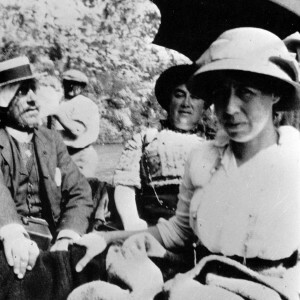 The history of the boatmen and the boats in the Gorges du Tarn is tied to the area’s rugged geography. 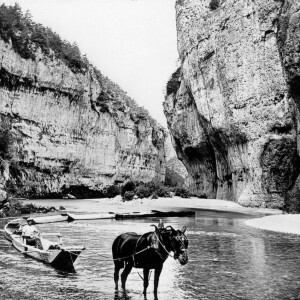 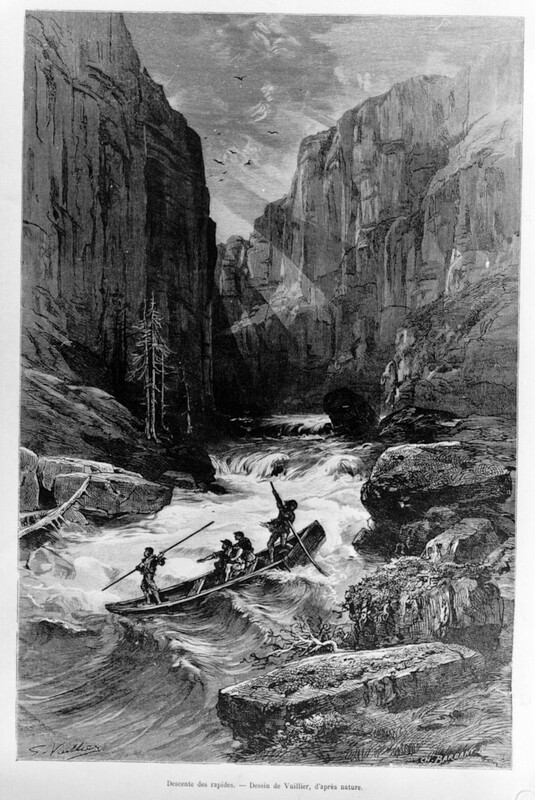 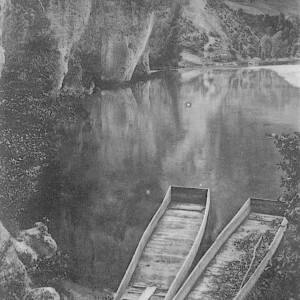 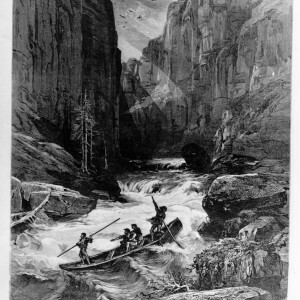 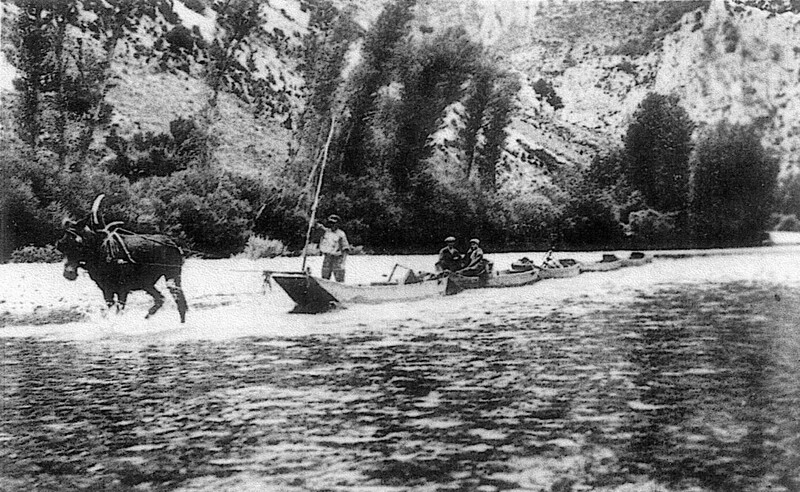 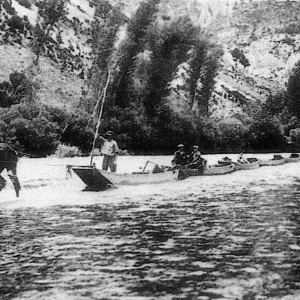 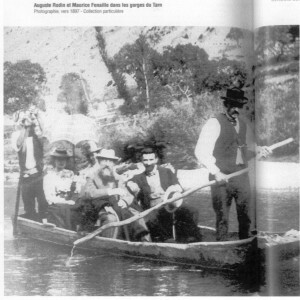 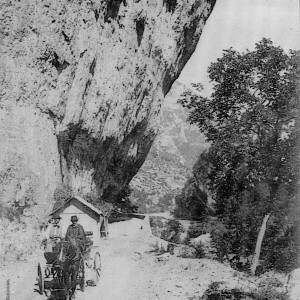 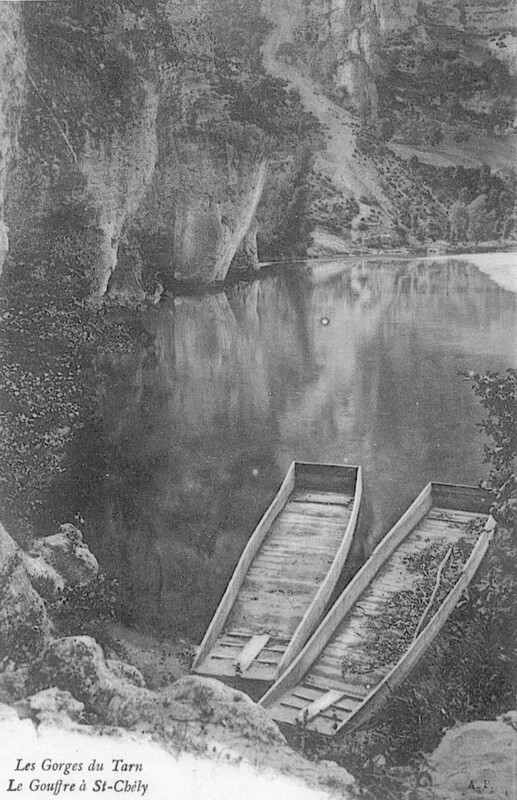 Since at least the 14th century, the boat has been the primary means of getting around in the canyon. 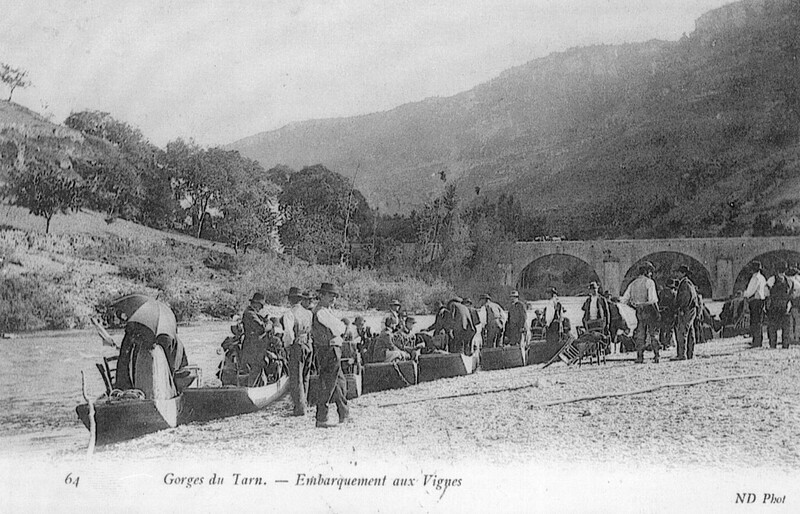 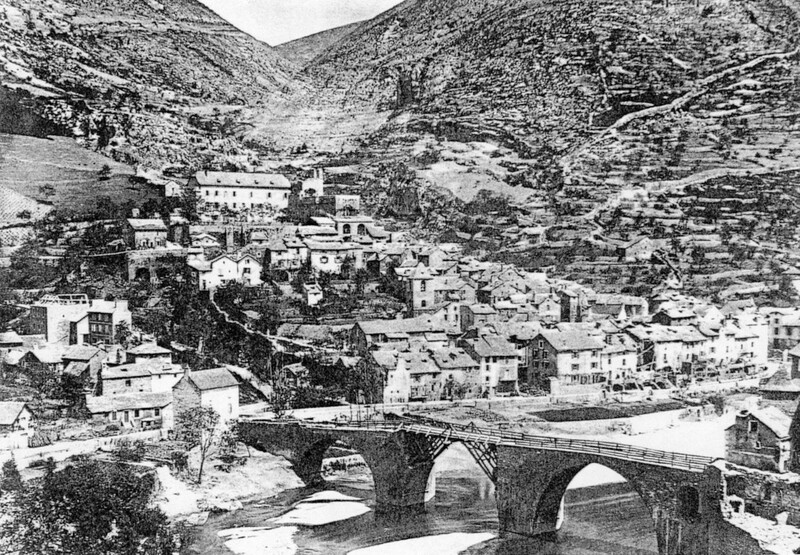 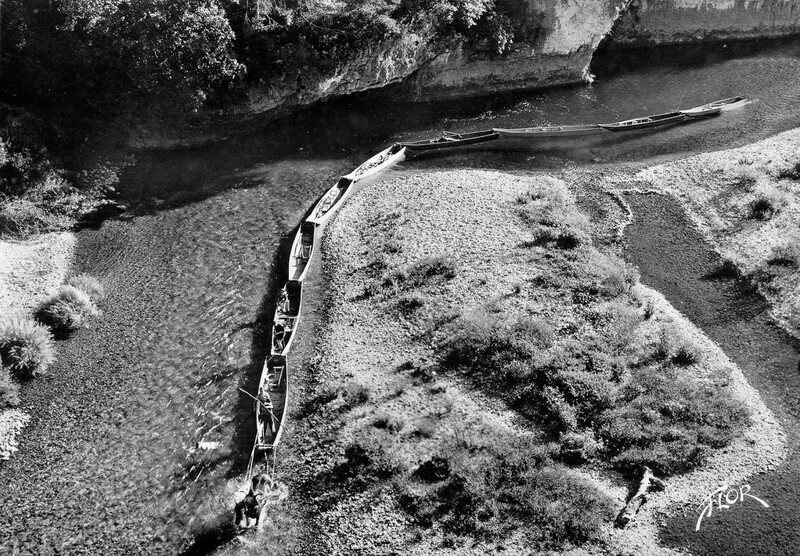 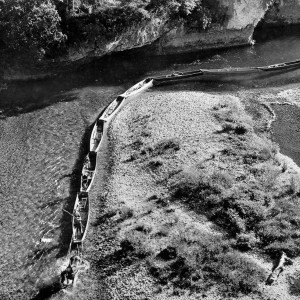 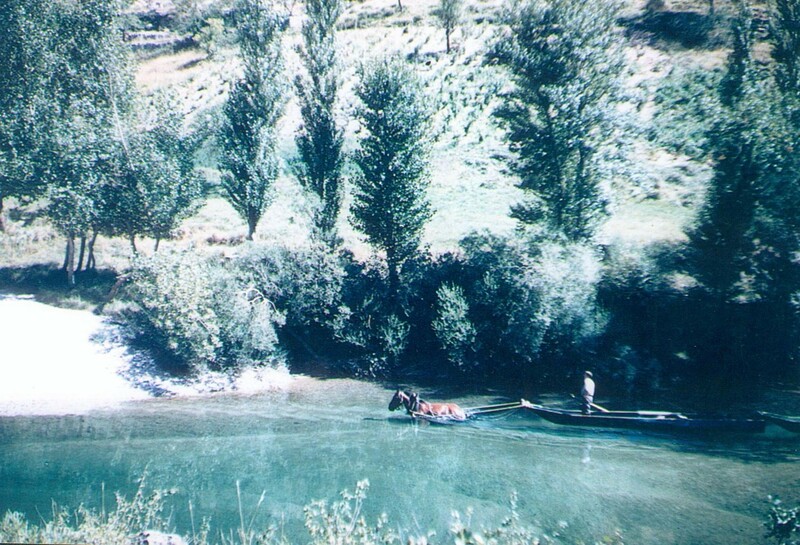 There are many wooden boats of different forms in each village of the Gorges. 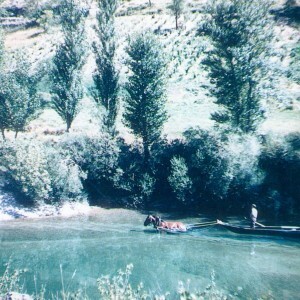 The boats are used not only for travelling from one village to the next but also for working in the vineyard and even net or cast net fishing. 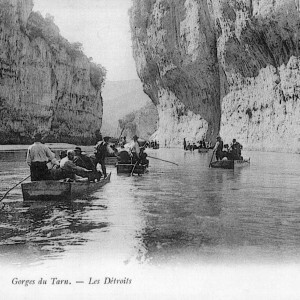 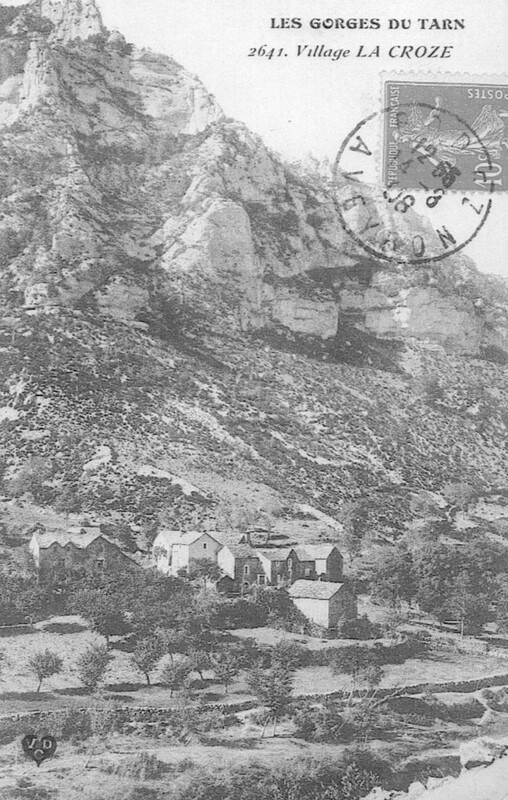 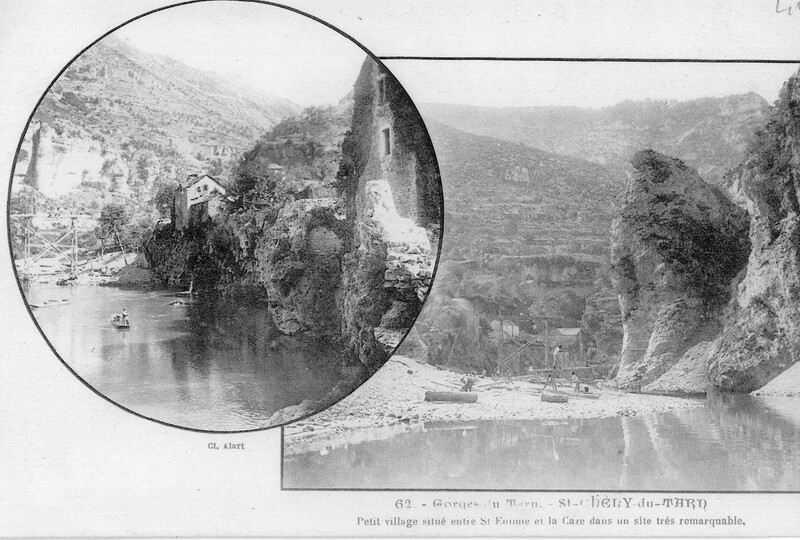 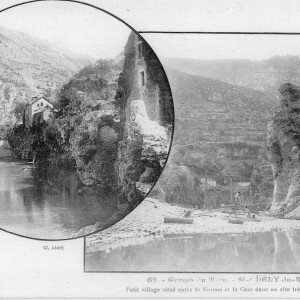 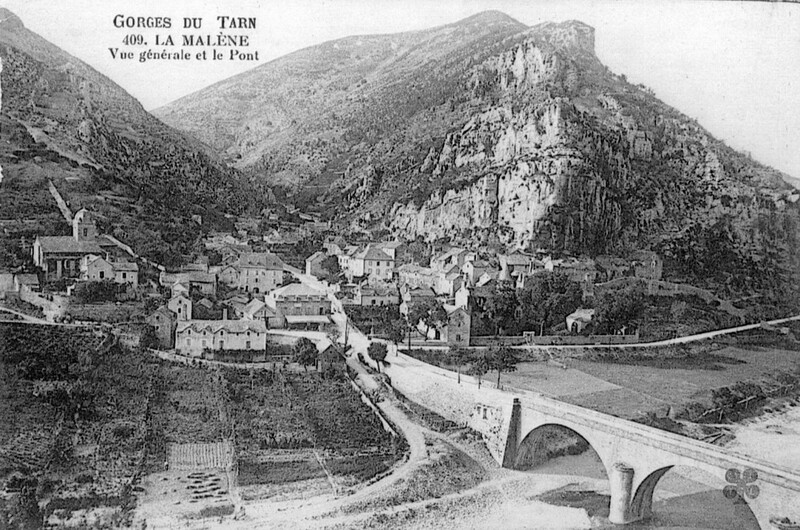 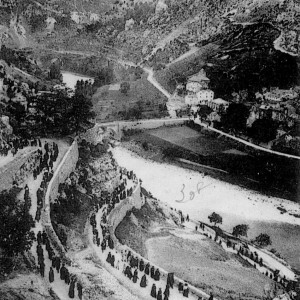 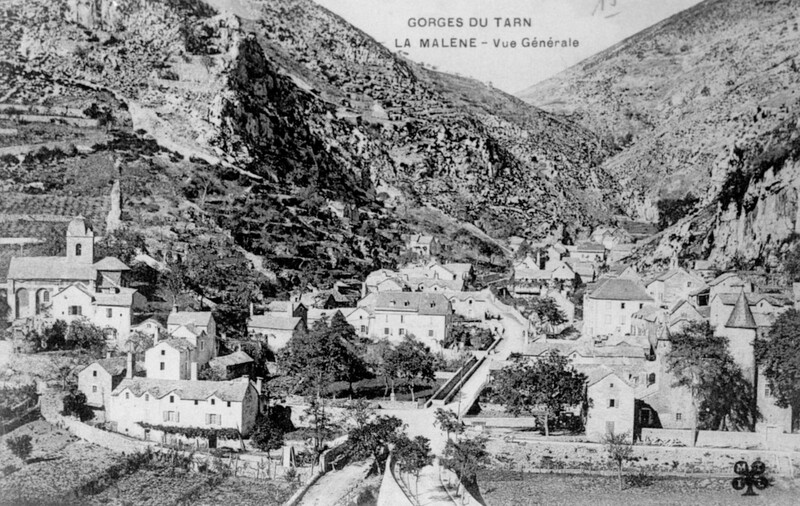 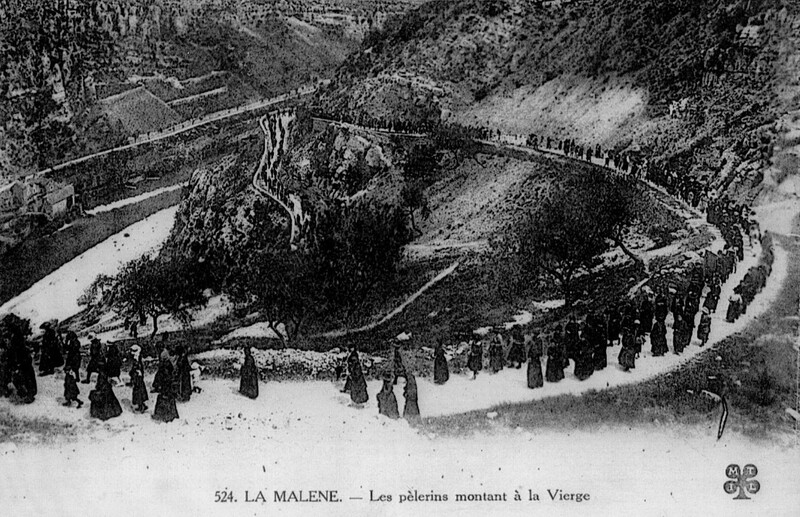 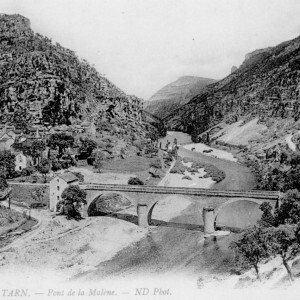 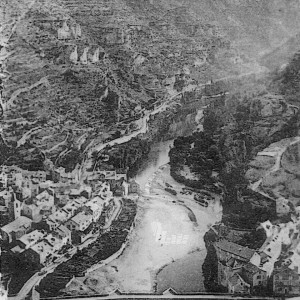 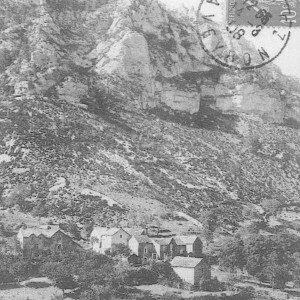 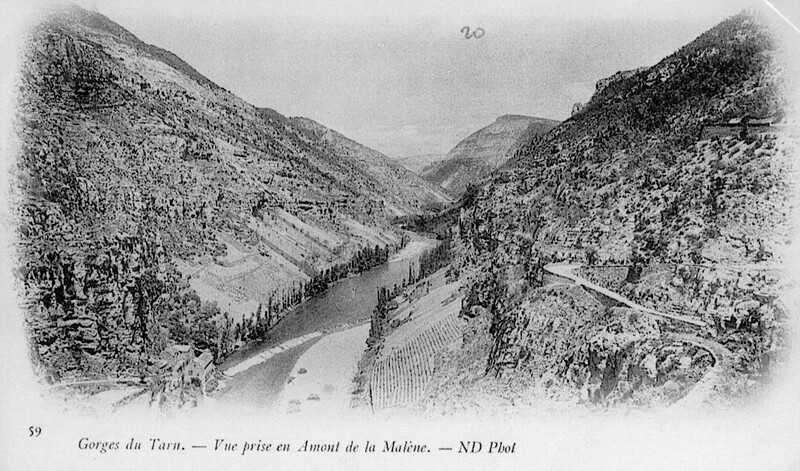 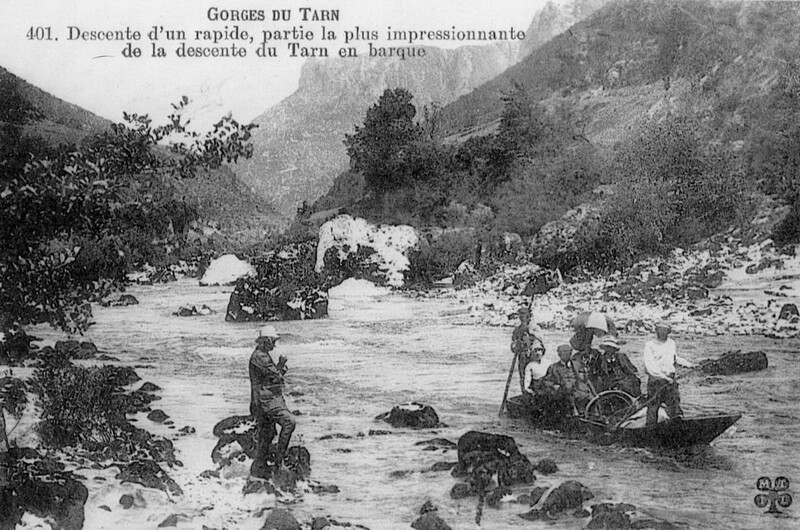 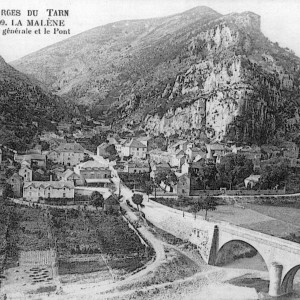 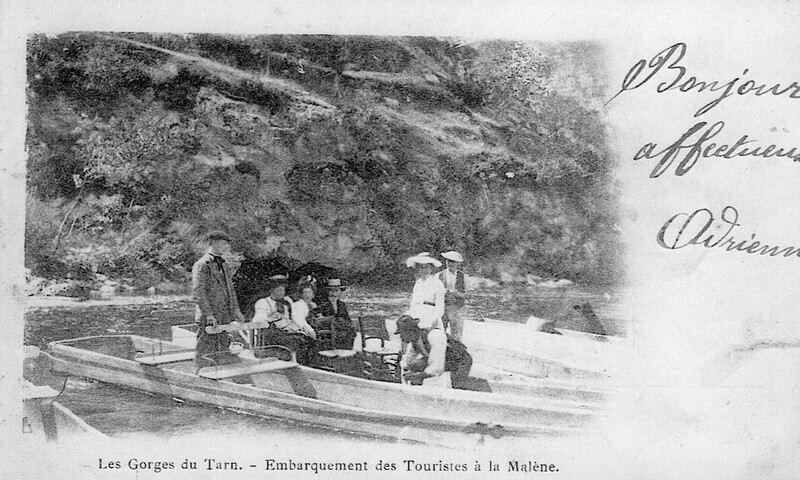 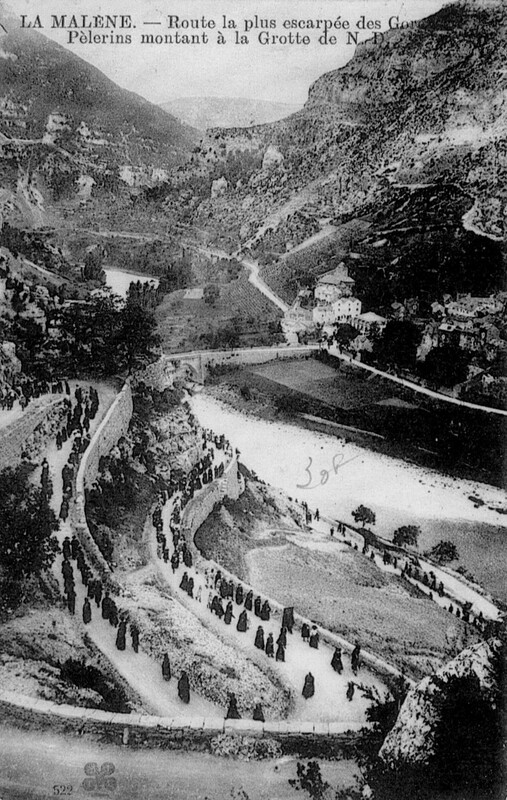 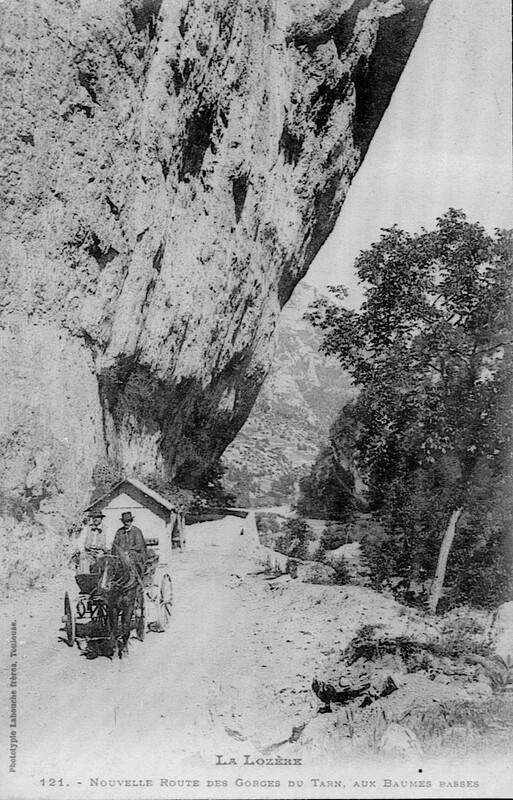 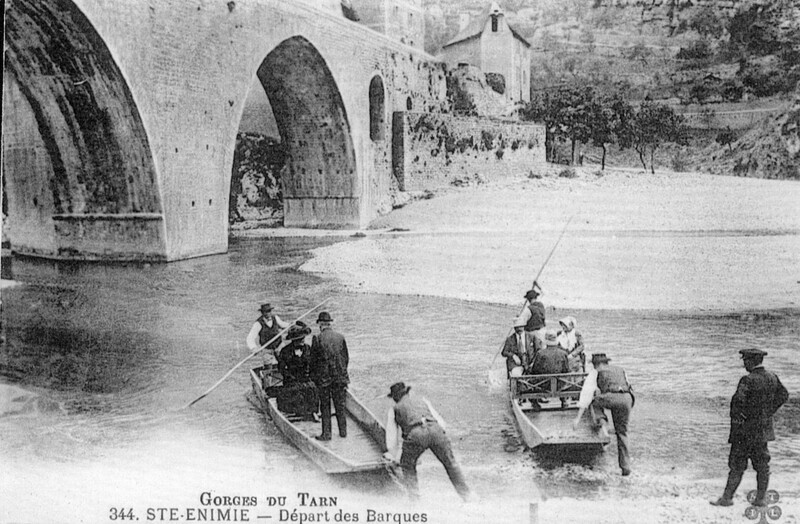 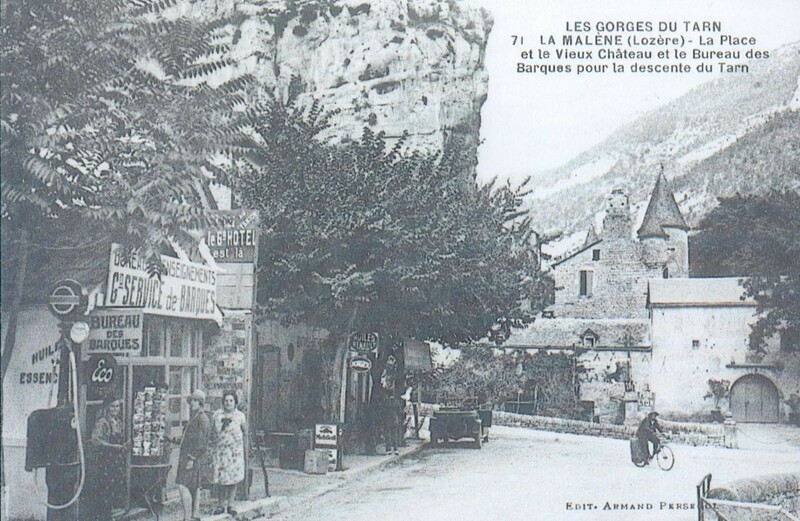 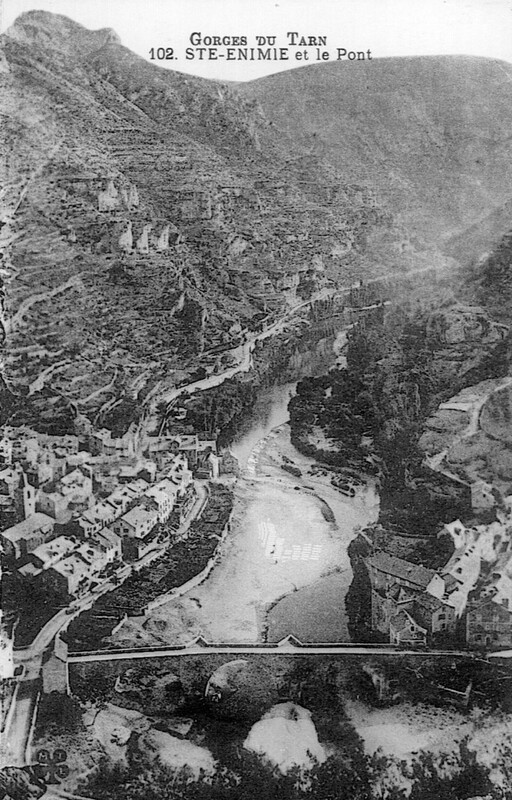 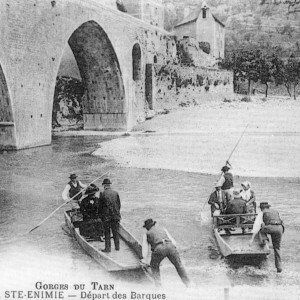 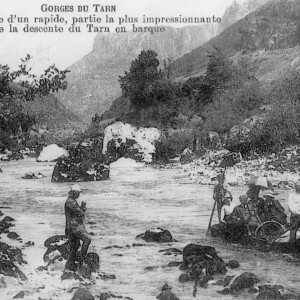 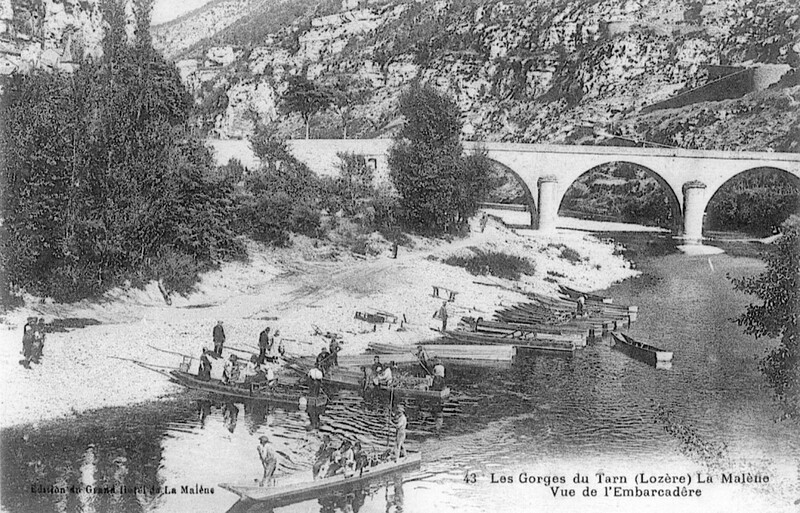 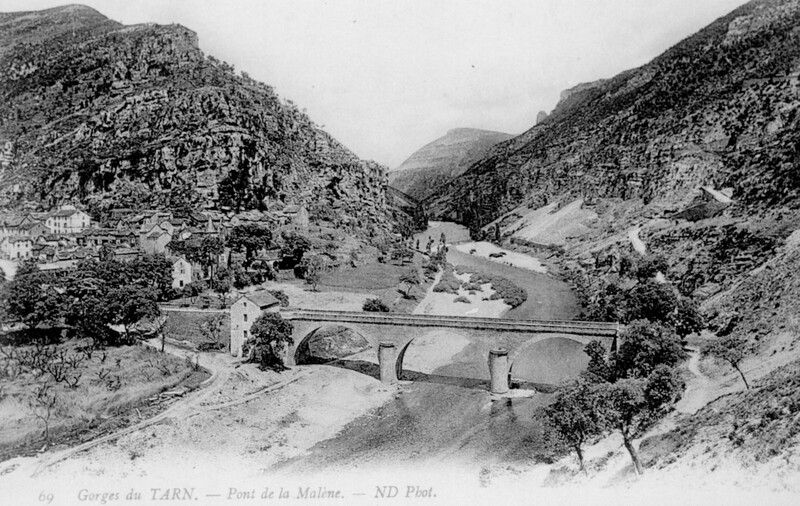 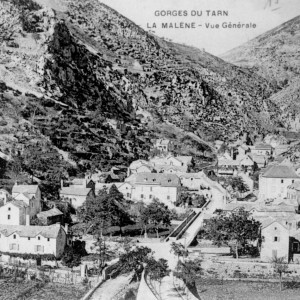 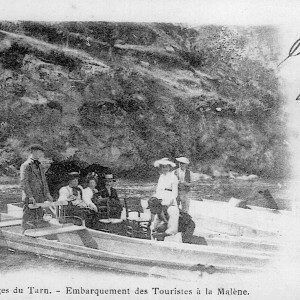 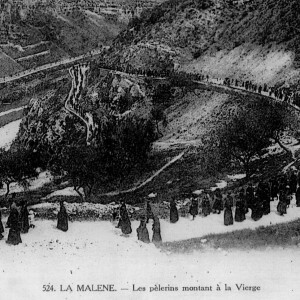 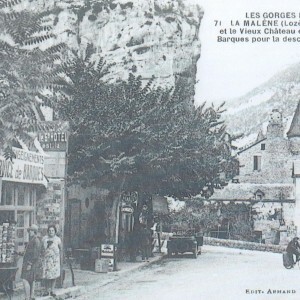 In the late 19th century, the first tourists arrived in the Gorges du Tarn by the new Paris-Béziers railway. 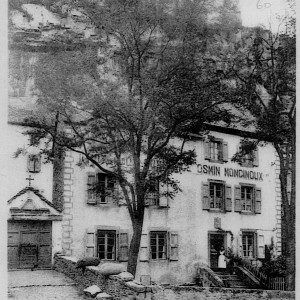 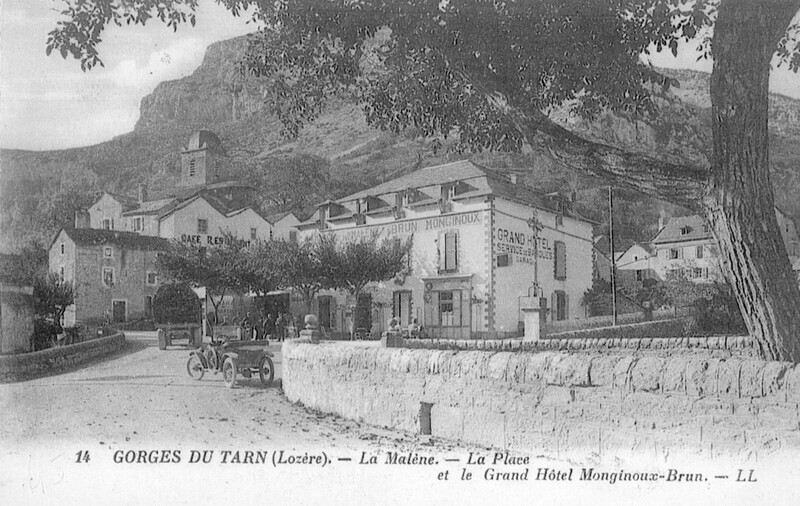 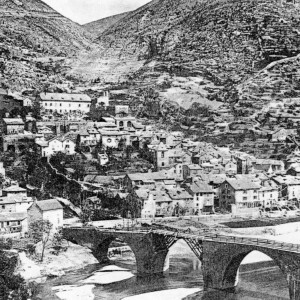 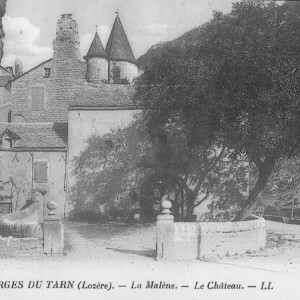 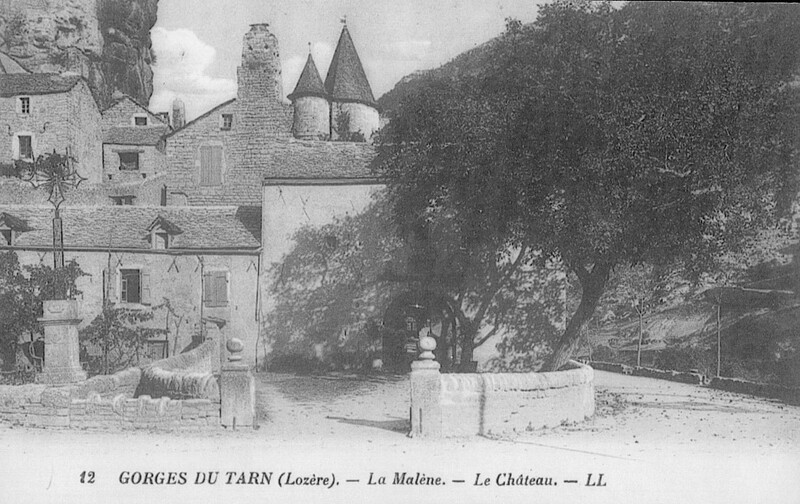 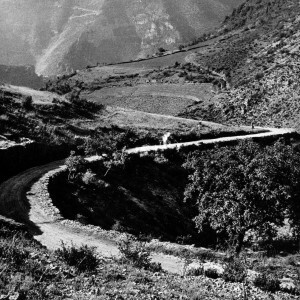 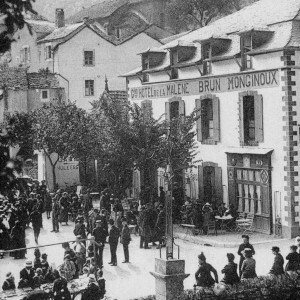 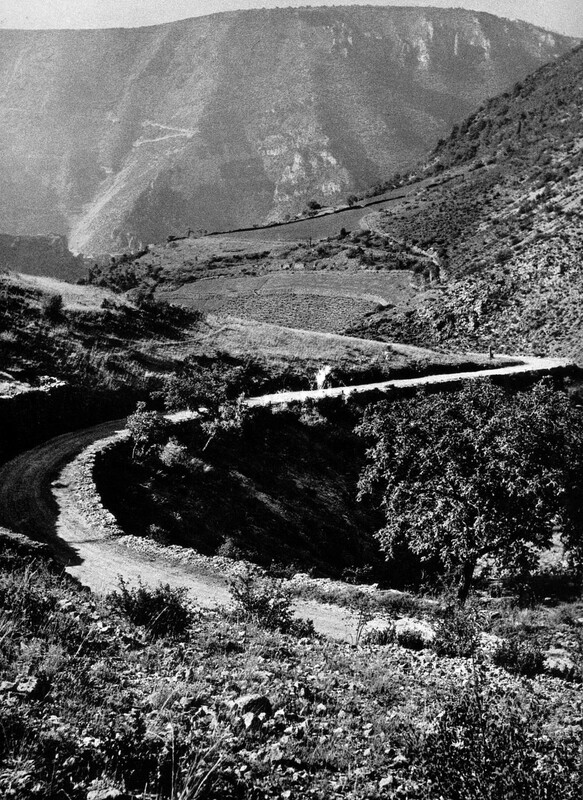 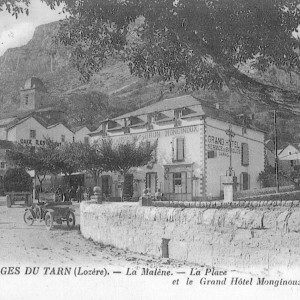 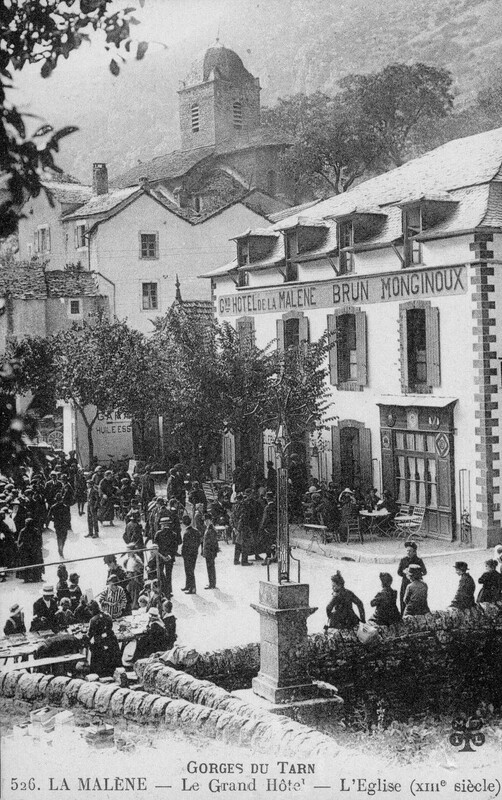 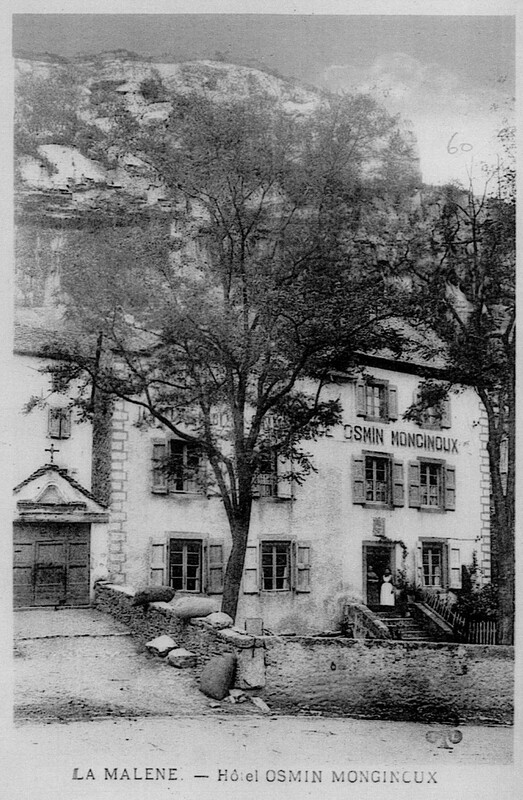 Hotels were created in the villages, and the first tours came about. 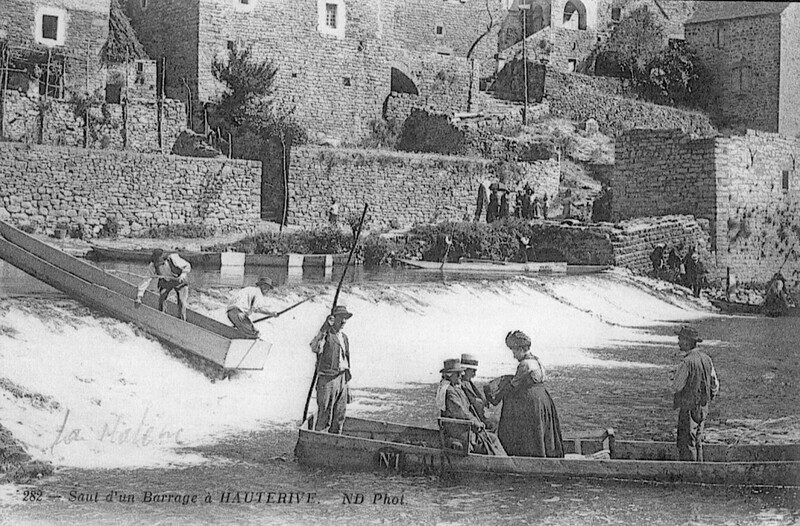 The boats were not yet adapted to tourism, so it was not uncommon to see fully dressed ladies sitting in the boats on kitchen chairs.